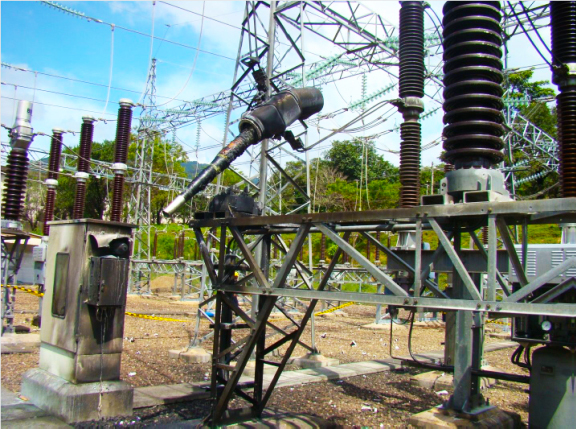 When an internal arcing fault occurs in equipment the consequences can be catastrophic. The destructive air pressure waves that are created by the millisecond thermal expansion of air with the consequential expulsion of toxic fumes and hot oil and fire risk can put personnel and the surrounding equipment in the vicinity of the arc fault energy at risk (see example below). 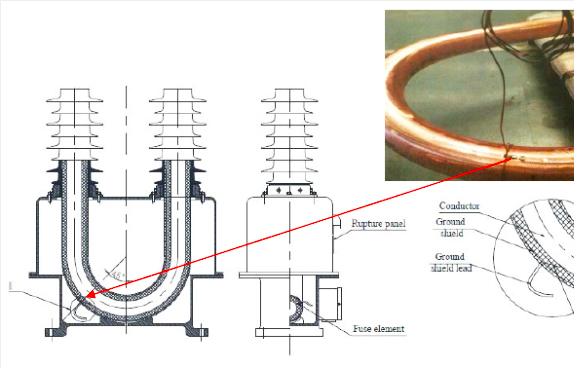 •	Class I – a special transformer design with features such that, during an internal line to ground arc test with the arc taking place at the most probable location, the debris of the transformer will be confined to a circular area centred on the transformer, in which the circle’s diameter is equal to twice the height of the transformer. 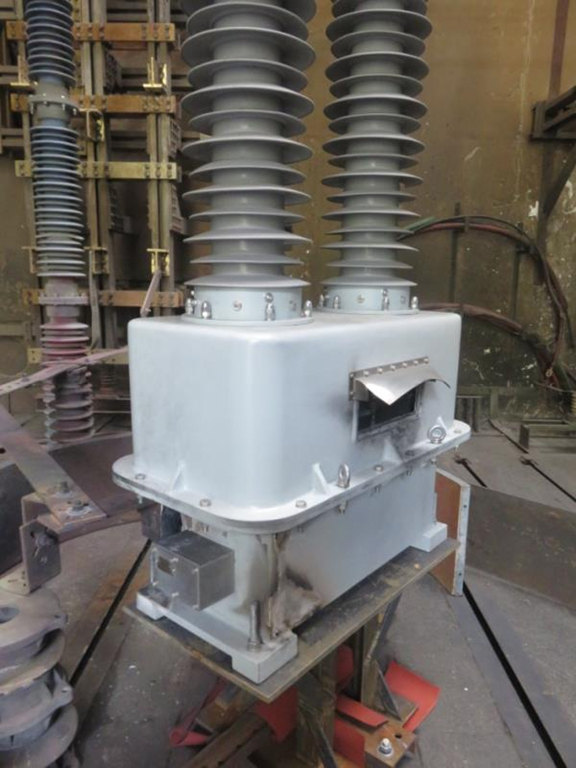 •	Class II – a special transformer design with features such that, during an internal line to ground arc test with the arc taking place at the most probable location, the transformer will not fracture the insulator or the transformer housing, but only open the pressure-relief device. It should be noted that this is a very severe test requirement. 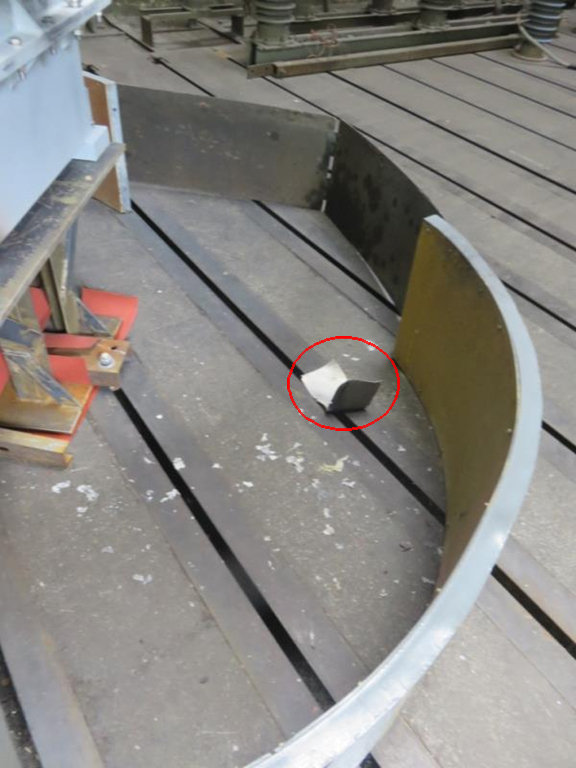 Internal arc fault tests are typically done at a lower short circuit current as the probability of a full short circuit fault is statistically very low. Also in the case of IEC even a lower asymmetrical peak current (1.7 times the r.m.s. current) is specified. A 2.5 mm diameter magnet copper wire was used for the fuse element which was installed in the PTFE insulation of the primary core during manufacture. 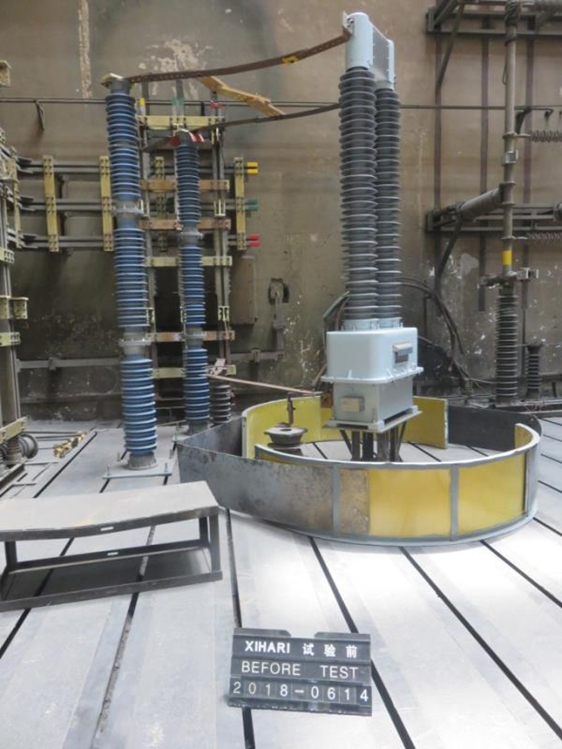 To ensure a maximum impact test the fuse element was installed in the U-shape bend area that is seated and fixed in the current transformer base box. 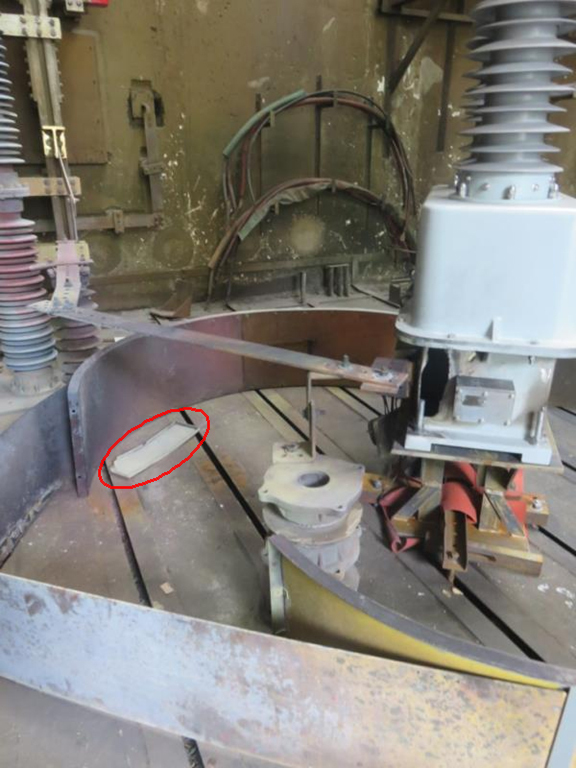 Care was also taken to locate the fuse element in an area least favourable for the controlled pressure relief (Figure 1). 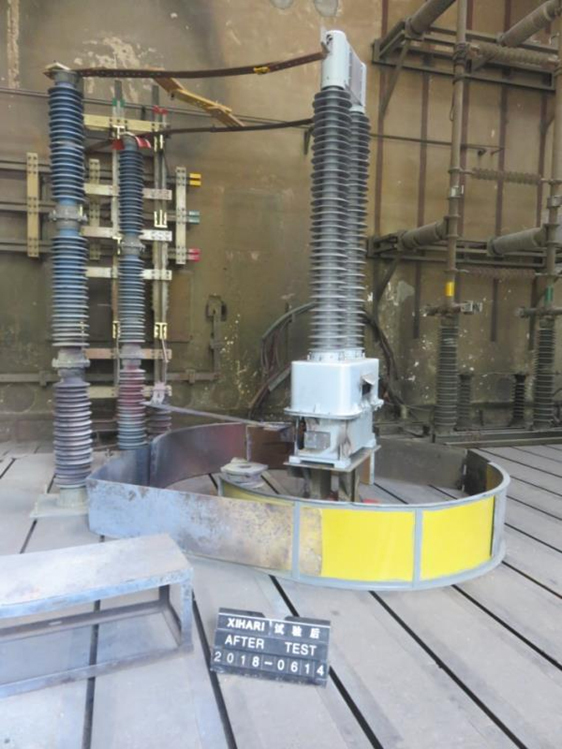 The test results showed that the HV DryShield® current transformer meets the definition given for a Class II design (see above) with the exception of only two light cover plates being ejected from the unit and therefore technically qualifying the test as Class I. 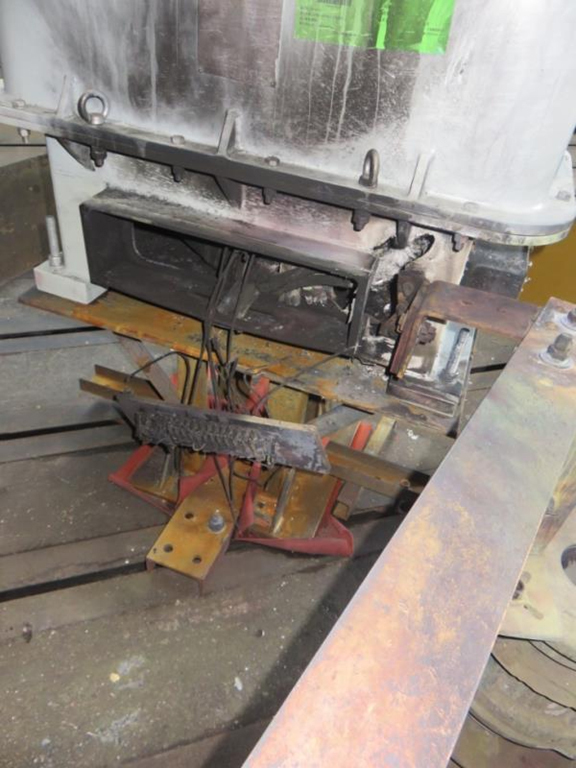 Simple design modifications are introduced that will easily secure those plates for such settings and qualify the HV DryShield® CT for Internal Arc Fault Protection Class II – at 63 kArms level.